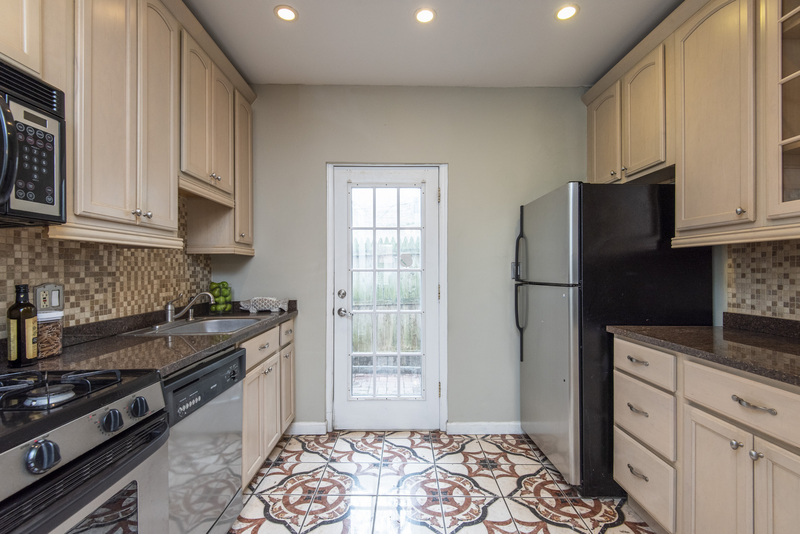 Continue through and admire the modern kitchen, complete with stunning floor tile, stainless steel appliances, mosaic tile backsplash, sleek granite countertops and elegant cabinetry. 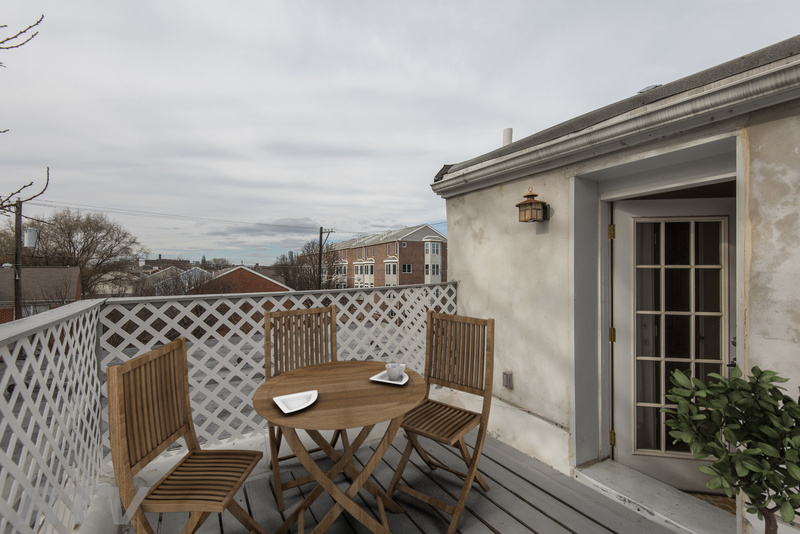 The kitchen also includes access to a backyard patio area- ready and waiting for some summer BBQs! Upstairs, the second floor opens to a light filled bedroom with ceiling fan and ample closet space, and a main bathroom with a gorgeous custom tiled tub and shower, tile flooring, built-in shelving and a beautiful dual vanity. 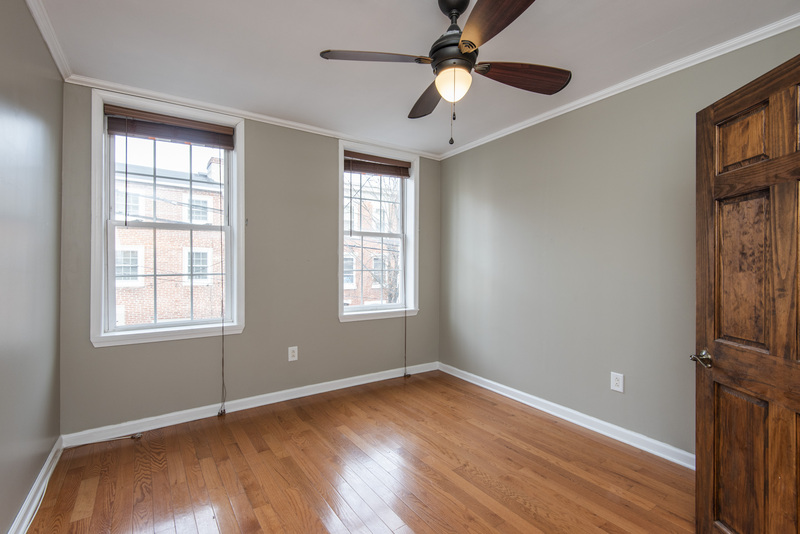 The second floor also includes a conveniently located laundry room. The third floor reveals a sun drenched, spacious bedroom with exposed brick, ceiling fan and its own ensuite bathroom with tile flooring and stall shower. The bedroom also provides access to a deck- just the spot for a morning cup of coffee or your beverage of choice after a long day. For those who still need extra storage space, the full basement is ready and waiting to fulfill all of your storage needs. 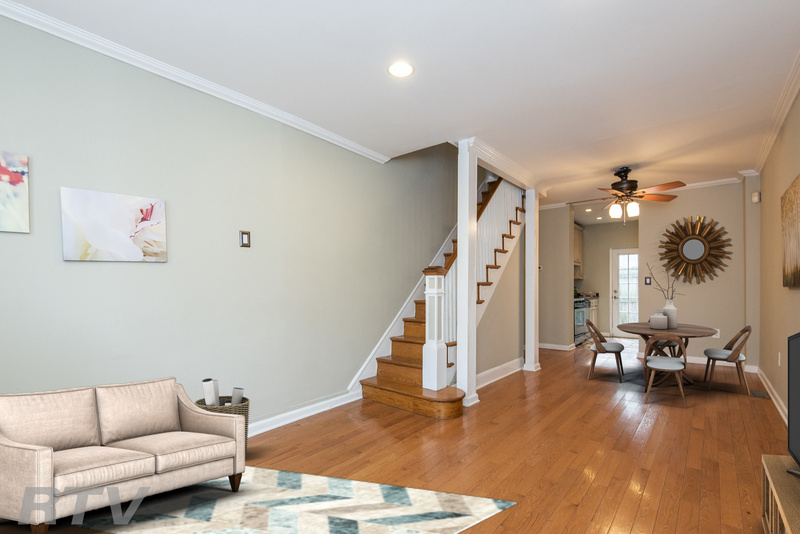 Found in an absolutely ideal location in Queen Village and Nebringer catchment, this home has easy access to 95, making your morning commute a breeze. After hours, you can take a walk over to Philadelphia Java Company and have a latte, or enjoy a meal at Dmitri's or Royal Sushi & Izakaya before strolling through Mario Lanza Park, or one of the many other green spaces around the home. 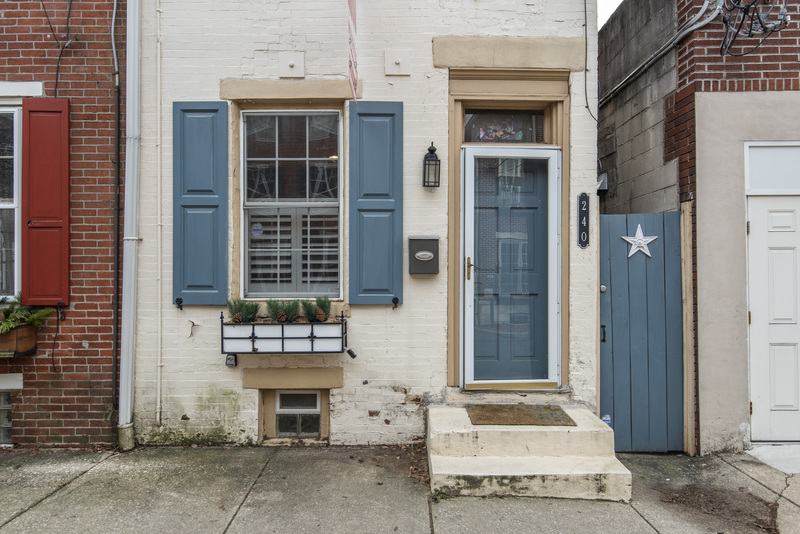 This is one you don't want to miss- contact Susanna Kunkel and see it today!